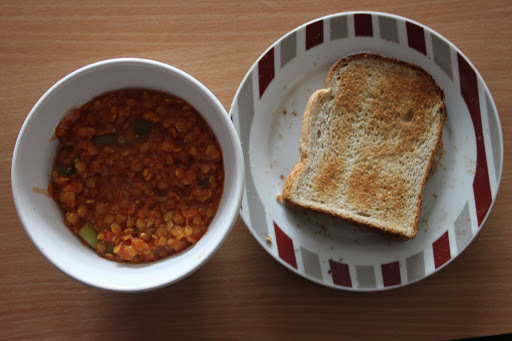 These are a few of my favourite things… to eat as a student. 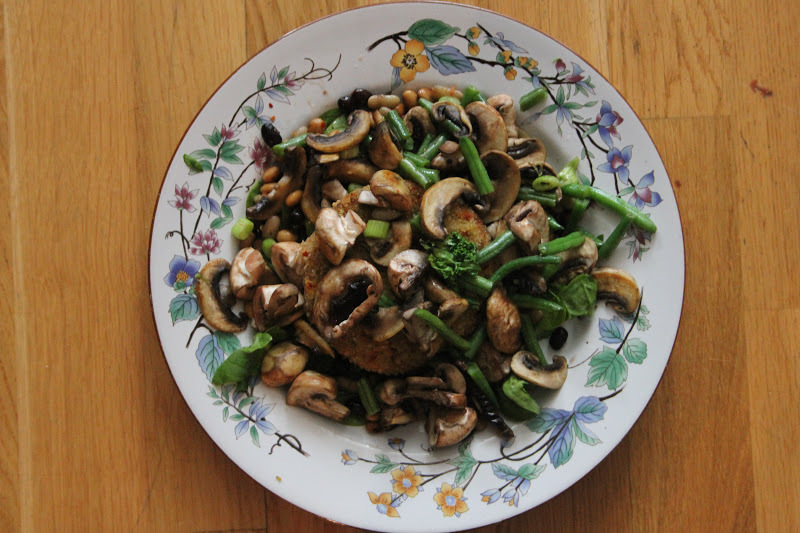 Warm salad of green beans, mushrooms, peas, beans and spinach (burried somewhere underneath there). 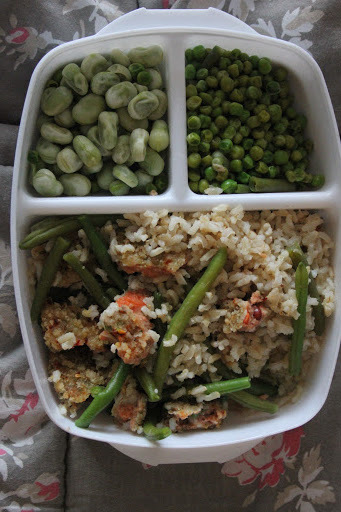 Brown rice with a crumbled bean burger, green beans, soya beans and peas. This. is. EPIC. I never knew what the English were on about when they put baked beans from a can onto a piece of toast. I can still remember the first time I ever heard of this bonkers notion: I was visiting the family of my sister’s now ex-boyfriend a few years ago and after a very long and stomach-stretching Sunday lunch, followed by a walk with the dog, it was time for ‘tea’. I thought I would be offered a cup of tea; little did I know that ‘tea’ is another name for dinner/supper. ‘Beans or cheese on toast?’ the ex’s father politely asked me. I think I blinked and stared rather stupidly. Beans? Who the hell puts BEANS on toast?! But after two years in this crazy little country, I must say the notion began to intrigue me, so much so that I — GASP — tried it myself. And I loved it. SO MUCH. I love it so much, in fact, that I had it for lunch and dinner this week. I overdosed on beans on toast. Had anyone told me two years ago that these words would one day pass my lips, I would have laughed. This is what the English have done to me. Well that is so funny !!! but looks really yummy…. I can't believe I've just discovered your blog. Your food is EXACTLY my sort of food! 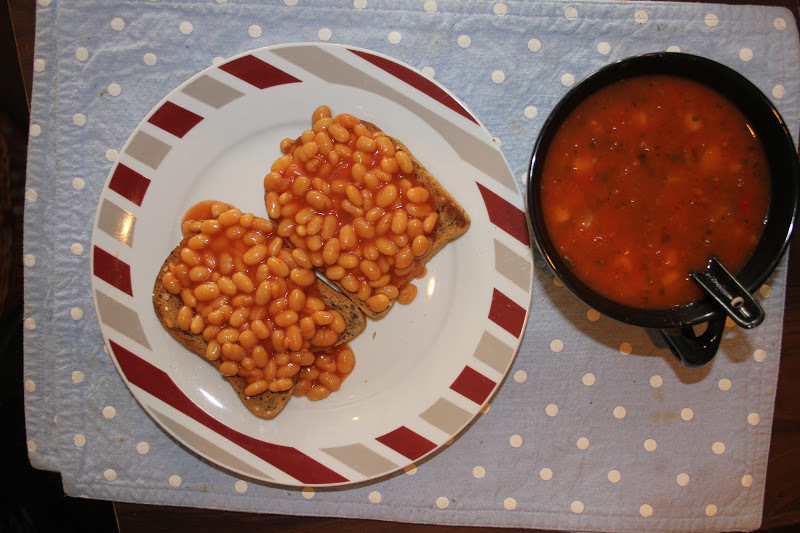 Vegan and healthy but with a good dose of treats in there 🙂 Baked beans are indeed fabulous, homemade are good too but heinz will always have a special place in my heart. P.S Clémence is such a pretty name. I lived in belle Paris for 6 months this year so have a fondness for all things French. Thank you for this lovely review! I hope you enjoy the rest of the blog as much as this post. A French-inspired post is actually on its way tonight!